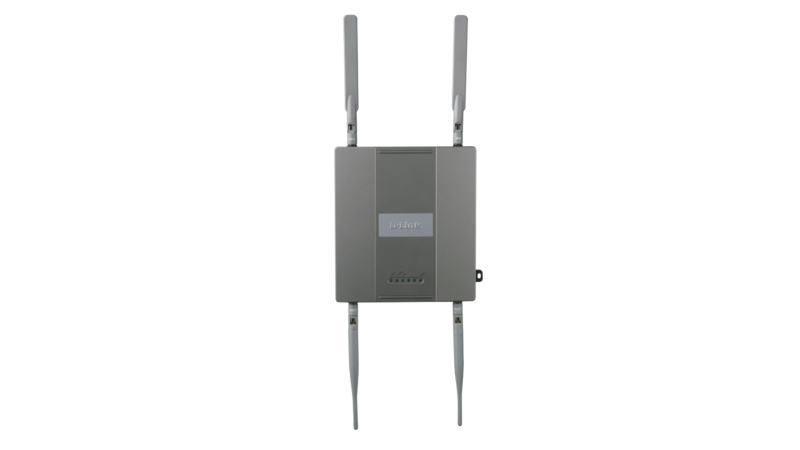 The DWL-8600AP is a versatile and powerful indoor access point for business environments. 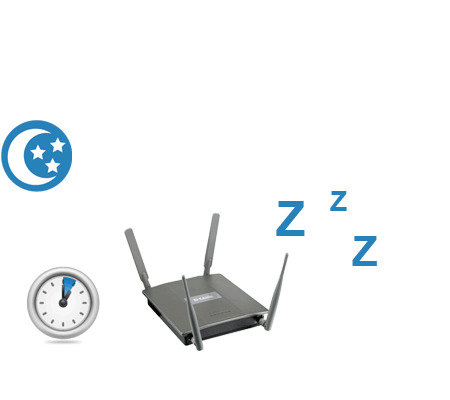 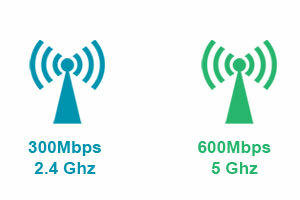 With adjustable antennae the wireless signal can be optimised to given maximum data transmission speeds. 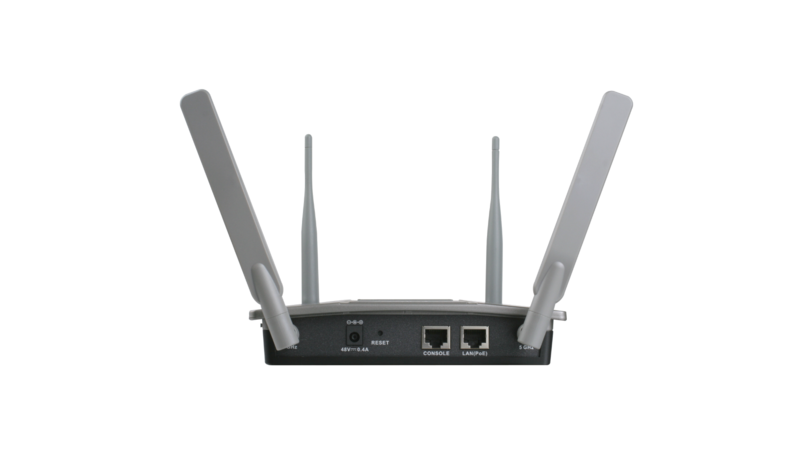 The DWL-8600AP can be deployed as a standalone wireless Access Point or used as the foundation for a managed wireless network. 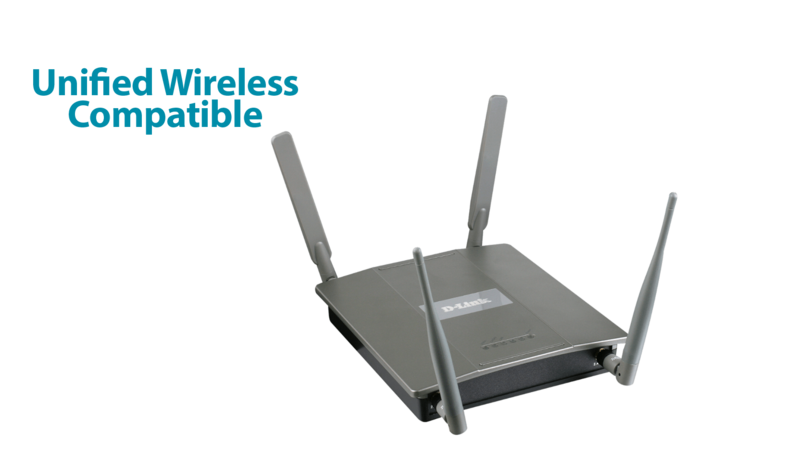 Using the latest generation of Wireless N technology, the DWL-8600AP delivers great wireless performance and coverage in a compact design. 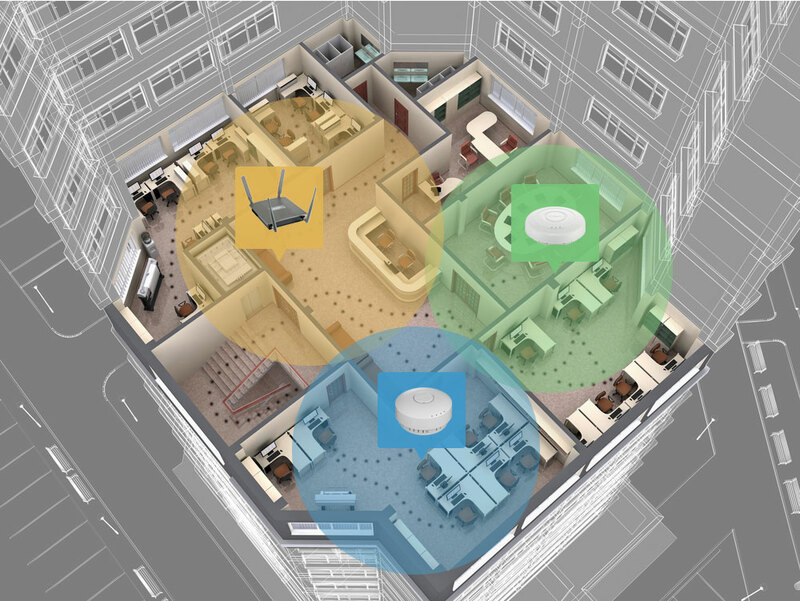 Combining the DWL-8600AP with a Unified Wireless Switch or Controller allows you to create a wireless network that enables people to move freely around a building without losing connectivity. 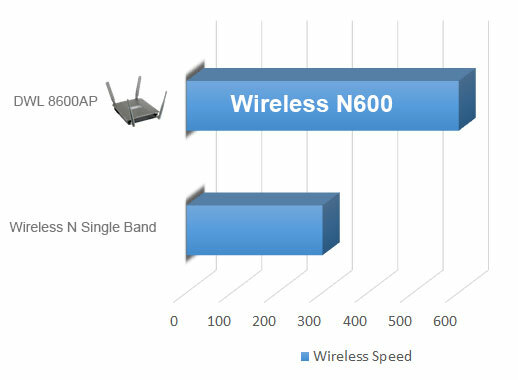 The DWL-8600AP delivers concurrent wireless performance and maximum signal rates in both frequency bands simultaneously. 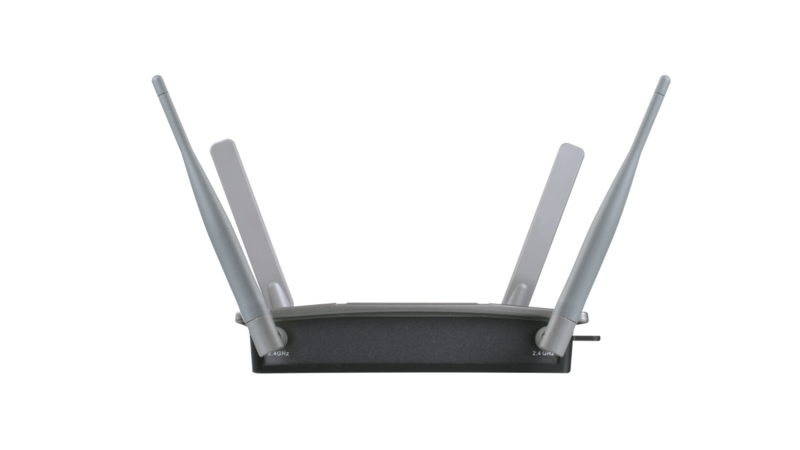 Its external antenna design enables network administrators to adjust the direction of the wireless signal to optimise coverage. 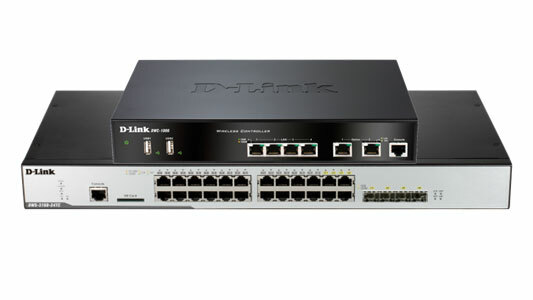 Whether you intend to use a single Access Point or roll out a large corporate network, the DWL-8600AP coupled with D-Link's Wireless Controller or Switch makes managing your wireless network simple. 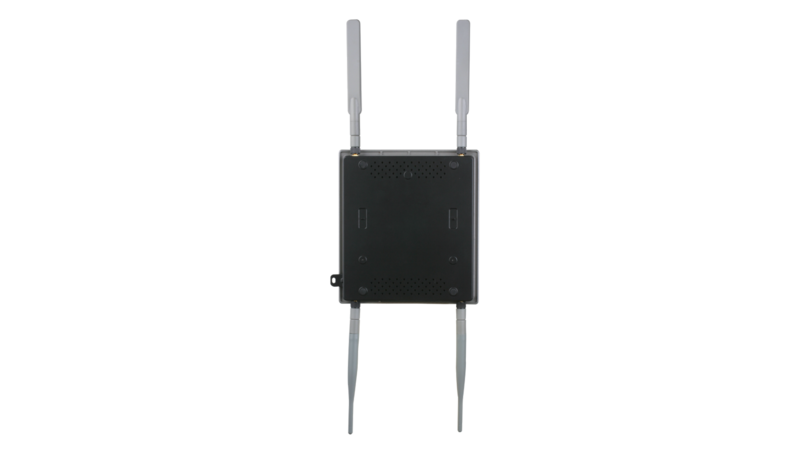 The DWL-8600AP incorporates a wireless scheduler feature, which turns off wireless operation when it isn’t needed, saving power and increasing network security.